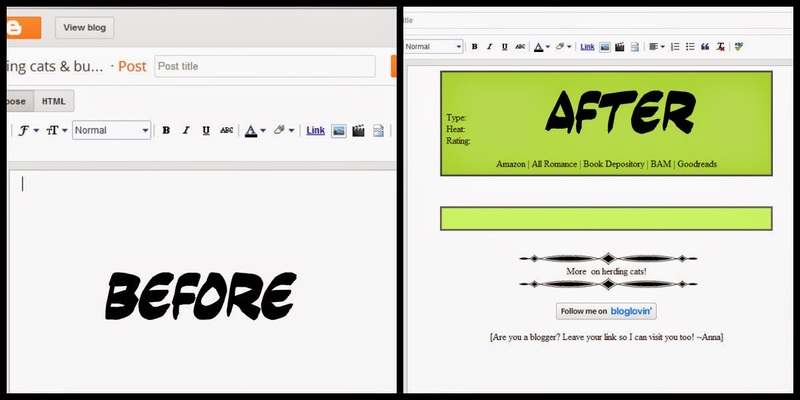 Not only is it a time-saver but it also gives the blog visual consistency which I think is important. This will benefit those that have set items they include in the majority of their posts. 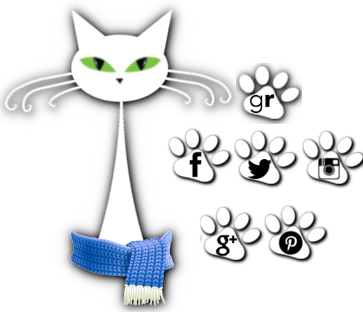 If you've been around the blog you might have noticed my post style. And that gets to be quite a lot having to piece that together for every single post. So I set to figuring out a way to make life easier and landed on the following steps. 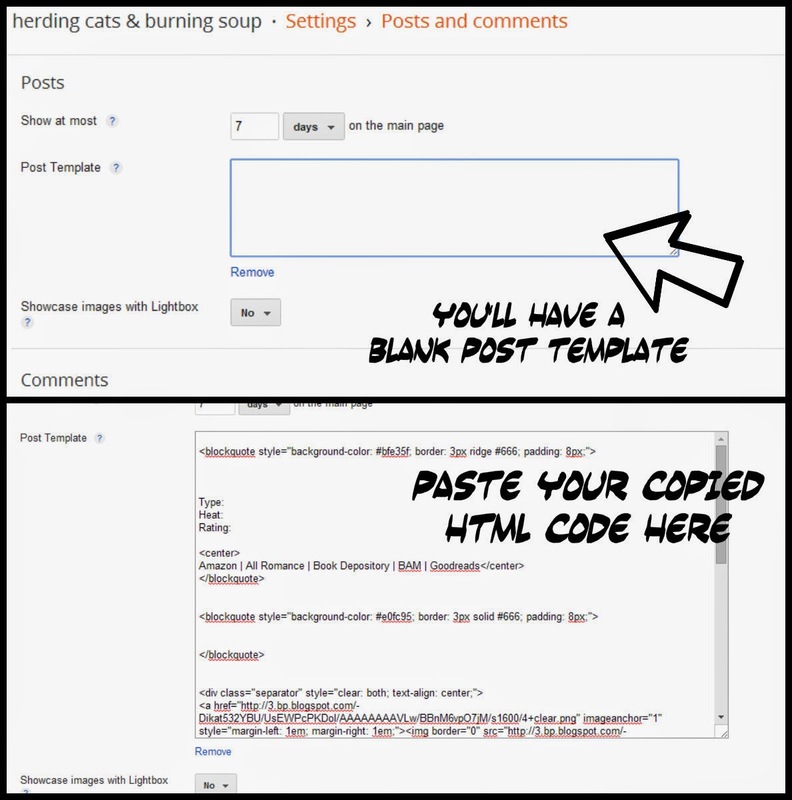 After you've pieced together what you'd like your template to look like switch to html view and copy all of your code. Next what you'll do is go back to your main opening page and scroll down a bit to "Settings". Click that and it opens another small menu. This will open up a new page giving you a few options. This is where you'll paste in the html code you've just copied a couple steps earlier. Then click "Save Settings" in the upper right side of your page. But not quite done. You're gonna need to tweak. 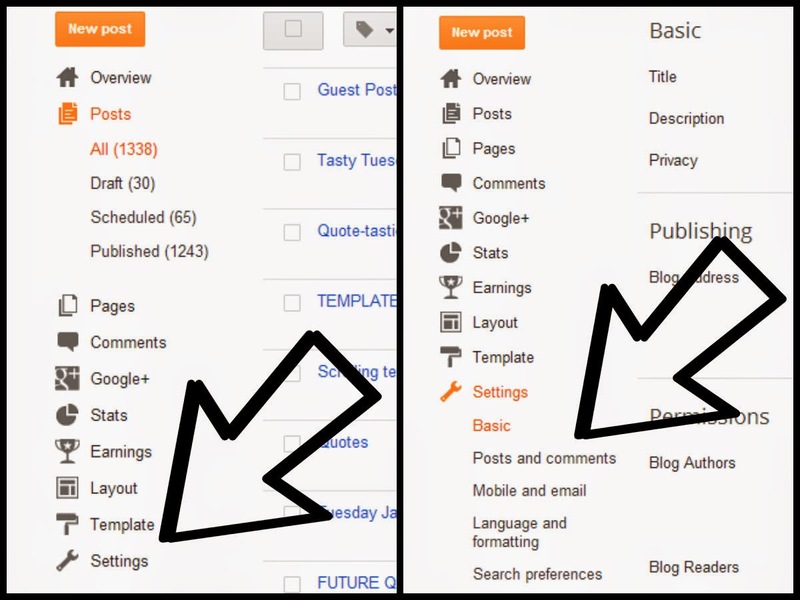 After you've saved your settings click to create a "New Post" and you'll get your new template. The problem is everything will be smooshed together. But it'll give you a starting spot and it's an easy fix to get things all polished off. I like opening mine with some spaces between each of the items items. 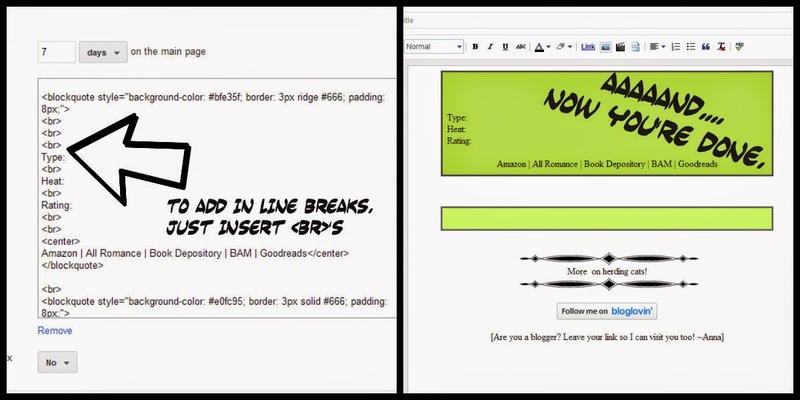 All you do to add them in is go back to the previous step where you pasted in your html code and add <br> wherever you'd like a line space to occur. This step is a bit of back and forth. 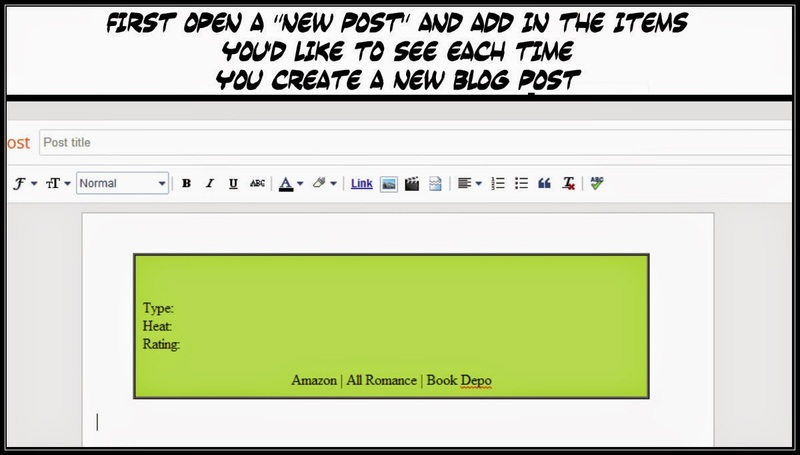 Add your <br>'s then "Save Settings" and create a "New Post" to check how things are going. It took me maybe 4 or 5 go betweens to get everything lined up and spaced how I wanted. So. That's our first Rock the Blog. Hopefully you found it helpful. If you have questions about a certain step just let me know. Please feel free to share the post and pass this along to others! If you have a topic you'd like chatted about just let me know! 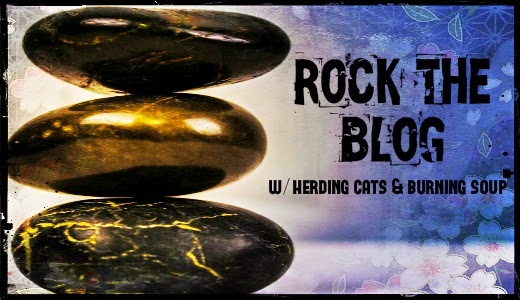 If I know how to do it I'm more than happy to set up a Rock the Blog.